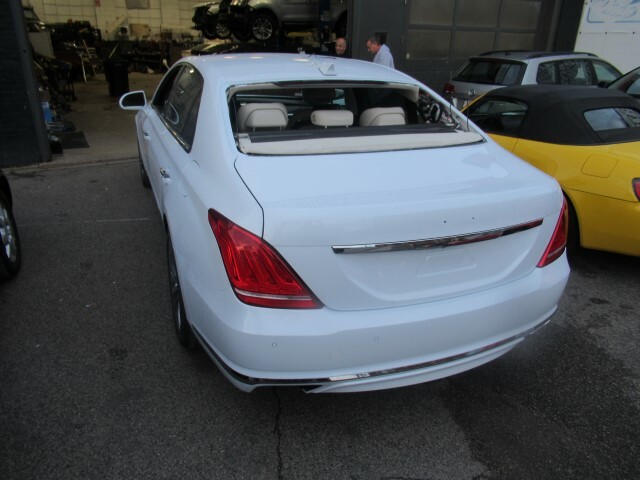 This vehicle is Hyundai’s flagship full-size model. This is the first time I have seen this car up close and it is modern and super sharp. 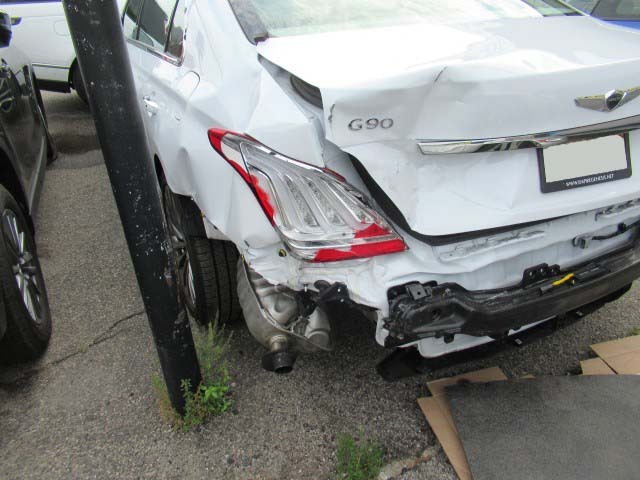 Hyundai released this vehicle in September 2016 with 2017 models. 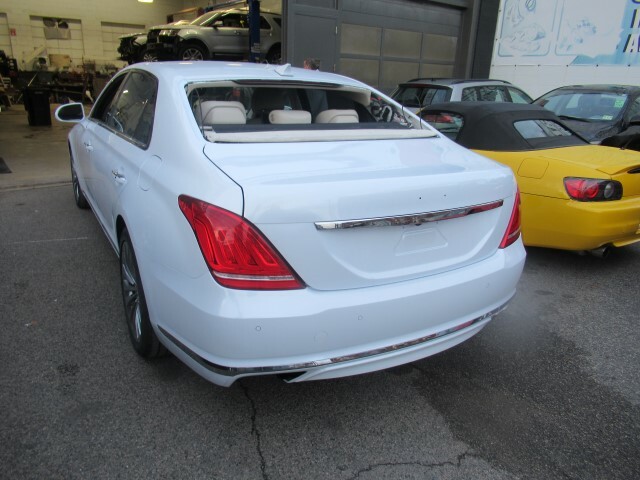 The Genesis G90 shown here is a brand spanking new 2018 with under 1000 miles on it. 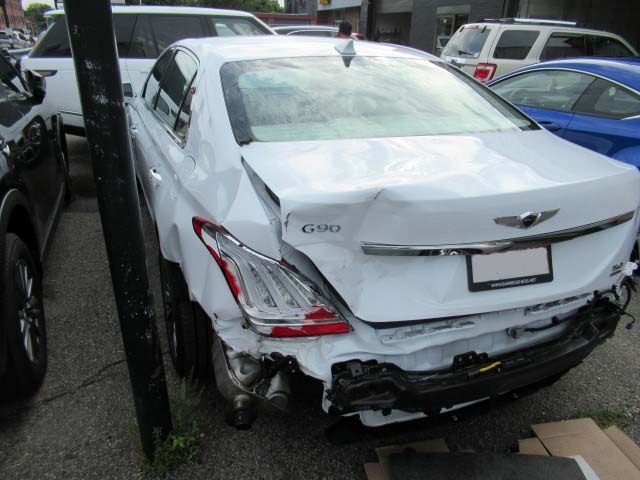 This Genesis was hit on a highway off-ramp. Its owner walked away without a scratch – thank goodness. We have shared the photos of the damage here. 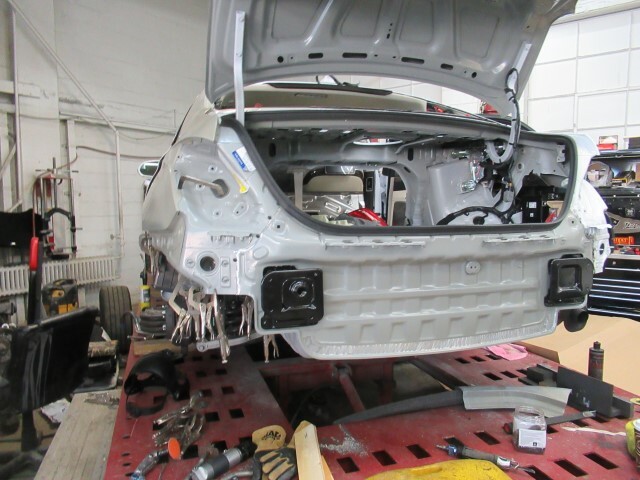 These photos show the following work needed to be done: unibody damage, replace the trunk lid, rear body panel, and the driver’s side quarter panel. The back window was cracked in the accident showing how hard this car was actually hit. 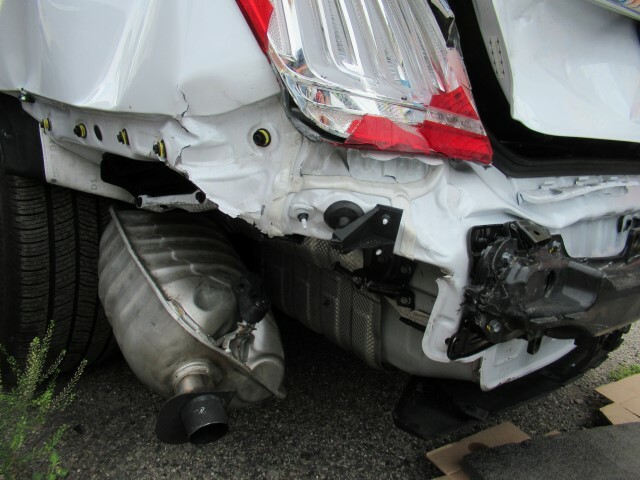 The exhaust, rear bumper, and driver’s tail light were all damaged. The blind spot sensors were broken as well. 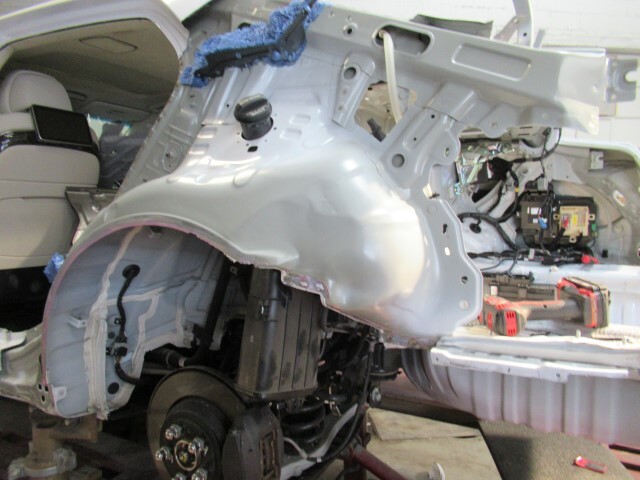 Refinish work starts at the driver’s rear door to the back and the passenger’s rear door to the back in a 3-stage pearl white. 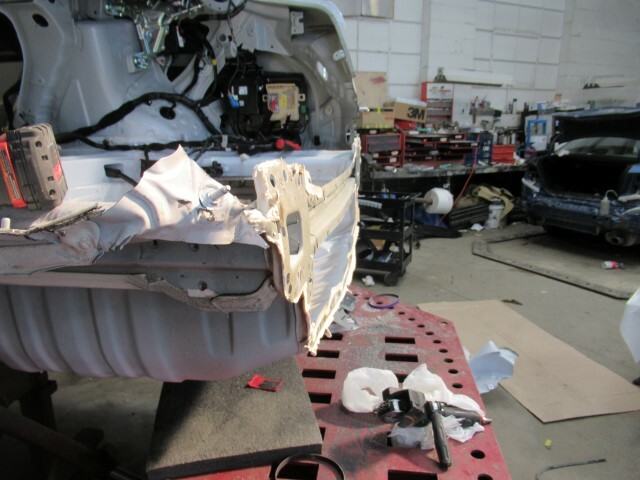 The process includes an extra application which goes on top of the white paint. 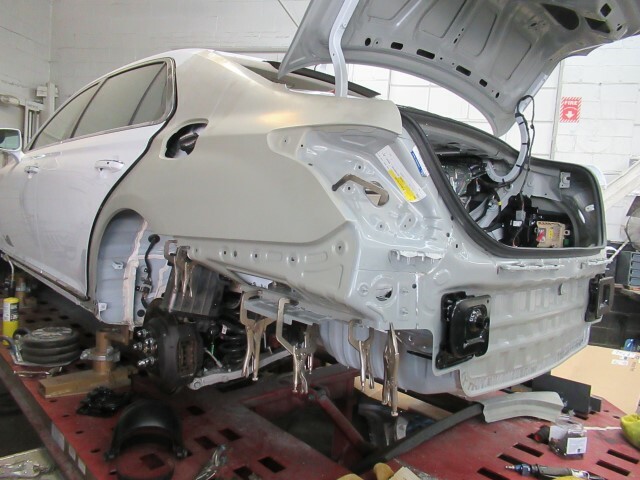 The vehicle is then clear coated and it gives this pearl finish. Absolutely beautiful color and when it hits the sun – amazing. At this point, the vehicle has to be brought to the dealership to recalibrate blind spot sensors and do the 4 wheel alignment. 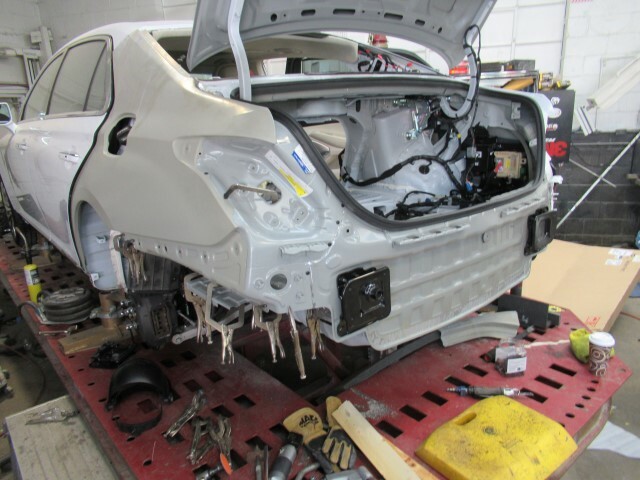 Allston Collision Center arranged for the delivery and pickup of the vehicle as the blind spot sensors can only be recalibrated on the dealership level. 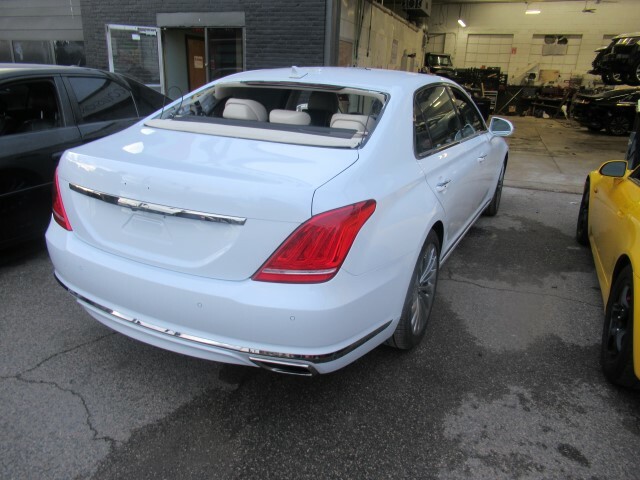 I hope all of you agree in looking at the finished photos this Genesis G90 came out perfect. 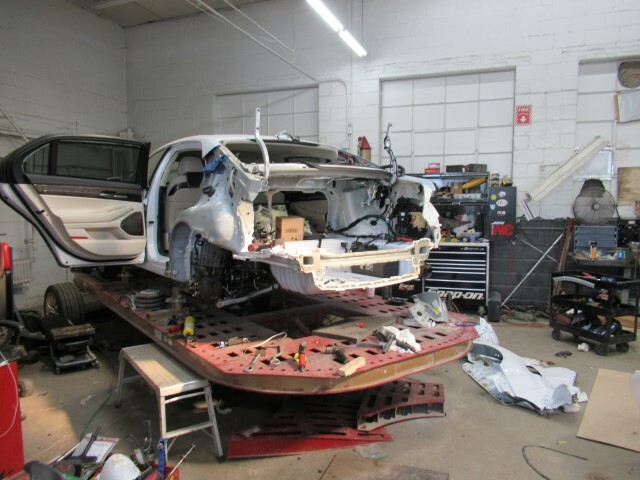 Allston Collision Center has worked with this client on several occasions. 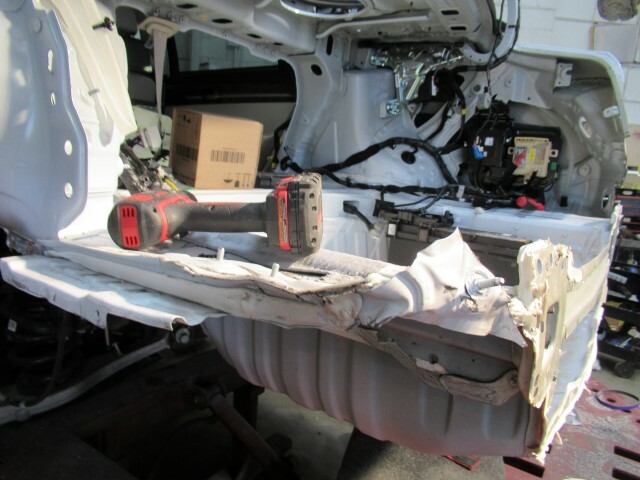 He let us know he was confident if Allston Collision Center’s team was fixing his car it would be back to original factory specs. I believe we accomplished that and more. This is the part of the job that is really rewarding. 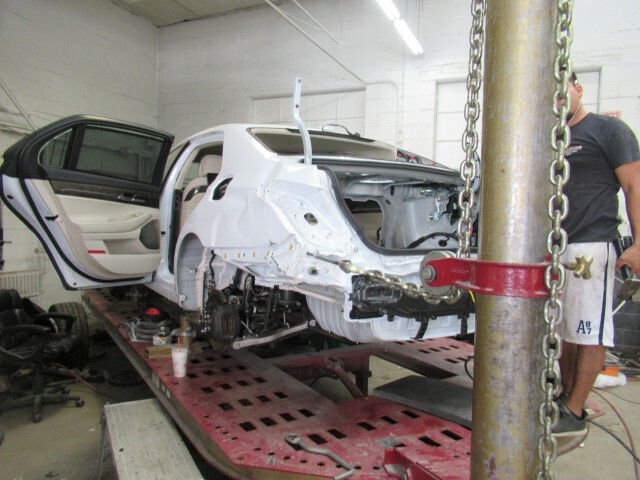 It is wonderful to know our clients return knowing the team at Allston Collision Center will do everything possible to make each vehicle back to pre-accident condition.